There is no other place on earth community leader Aldeci "Nenzinho" Cerqueira Maia, 56, would rather be than his home in the Extractive Reserve (Resex) Cazumbá-Iracema in the state of Acre, Brazil. Passionate about the Amazon and its surrounding biodiversity, Nenzinho makes a point of defending its fauna, flora, water, river, fish, and even people. "By living in harmony, we are all well," he says. However, how do we encourage young people to engage in the struggle and ensure the survival of the territory for future generations? Concerned about this issue, Nenzinho and other traditional leaders with more than 20 years of activity in the region decided to strengthen their community. They implemented processes of mobilization, community organization, and participative management for the formation of new leadership to keep on developing the sustainable development work at the Resex. 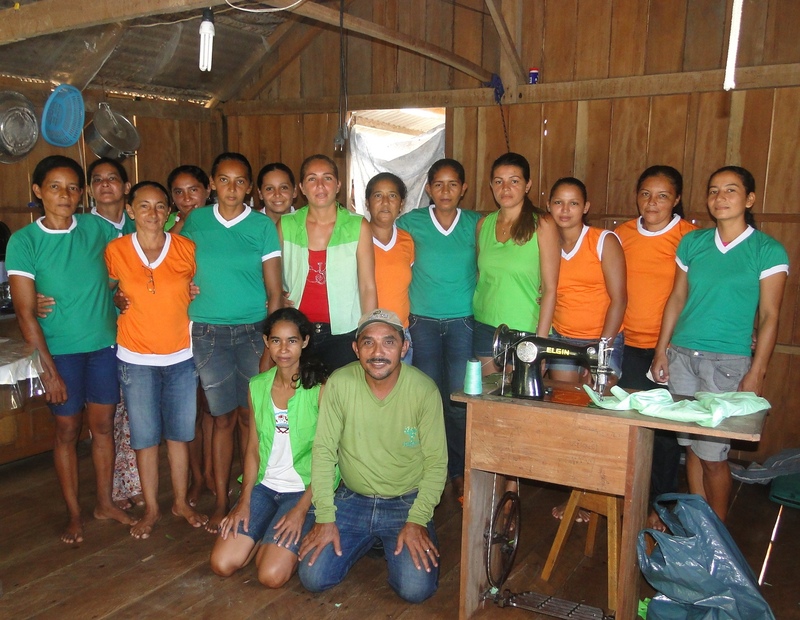 One of the proposals was the creation of the "FormaAÇÃO" ("Training") Project, which since its inception in 2014 has trained more than 40 new community leaders, among young people and women, in participatory management processes within the protected area. As a result, some of them have taken positions such as managing the Association of Rubber Tappers of Seringal Cazumbá of the Reserve. 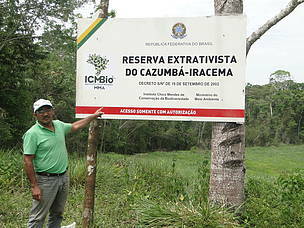 The work carried out at Resex Cazumbá-Iracema happened thanks to the support of the Amazon Protected Areas Program (ARPA). 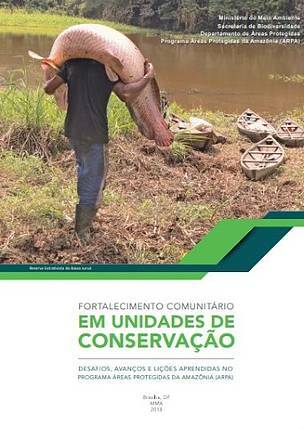 Notably, it is only one of the many successful results illustrated in the book Fortalecimento Comunitário em Unidades de Conservação - Desafios, avanços e lições aprendidas no programa Áreas Protegidas da Amazônia (Community Empowerment in Protected Areas - Challenges, Advances, and Lessons Learned in the Protected Areas Program Amazonia - ARPA), recently launched at the Encontro Chico Mendes event in Xapuri (AC). The book shows the positive impact of the implementation of 23 community action plans in PAs supported by the Program until 2016. ARPA, as the largest tropical forest conservation program in the world, "promotes the articulation and strengthening of community organizations and human communities that are beneficiaries of protected areas supported by the Program, aiming at the sustainable use of natural resources." For community members, such as Nenzinho, ARPA plays a key role in the development of a Resex. 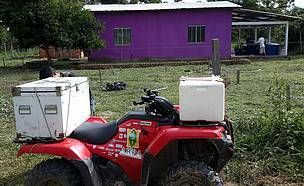 In Cazumbá-Iracema, in addition to the training course, ARPA has also provided logistical support for daily routine activities such as transportation, fuel, and food, among others. "About 80% of our funds destined to the management of the Resex come from the Program, and this is essential to strengthen our community. I cannot imagine how a Resex could develop without this support. We have cars, quadricycles, boats, motorcycles, and bicycles, which give support to technicians, researchers, managers, and the community. All of this brings improvements in organizing and managing our Board in a participatory way, besides managing ICMBio itself," he says. Another benefit provided by ARPA at this Resex is the empowerment of women for crafts and sewing, which currently benefits more than 25 families directly. In addition to Resex Cazumbá-Iracema, the book also highlights the following projects: community strengthening in the Médio Juruá Extractive Reserve and the Juma Sustainable Development Reserve (both in the state of Amazonas); conservation of chelonians in the Rio Ituxi Resex (also in the state of Amazonas); research of fishing resources in the north of the state of Amapá; territorial management of the Gurupi REBIO Mosaic and Indigenous Lands in the state of Maranhão; and exchange of knowledges and practices between indigenous and extractive workers at Médio Xingu, among others. Download the book (in Portuguese) on the side and see the full list of activities. The community plans described in the book appeared in biddings for projects totaling 190,000 BRL each for Sustainable Action Plans (PAS) - targeting traditional populations - and Indigenous Peoples Action Plans (PPI) - for conservation areas neighboring Indigenous Lands. A third bidding notice contemplated six new action plans. The bidding notices supported projects to stimulate the use of alternative technologies; sustainable use of natural resources; alternative subsistence to the traditional agricultural extractivism production; training in environmental conservation practices and the sustainable use of natural resources; and the encouragement of participation in the management of protected áreas through Managing Councils. According to Marco Bueno, an environmental analyst of the Ministry of the Environment (MMA), the publication is the result of a process of construction and execution of community projects that lasted more than 3 years. Produced in partnership with communities during a lessons learned workshop in 2016, the book brings stories and perceptions of traditional and indigenous peoples, and Protected Areas´ managers who participated in the implementation of the projects. 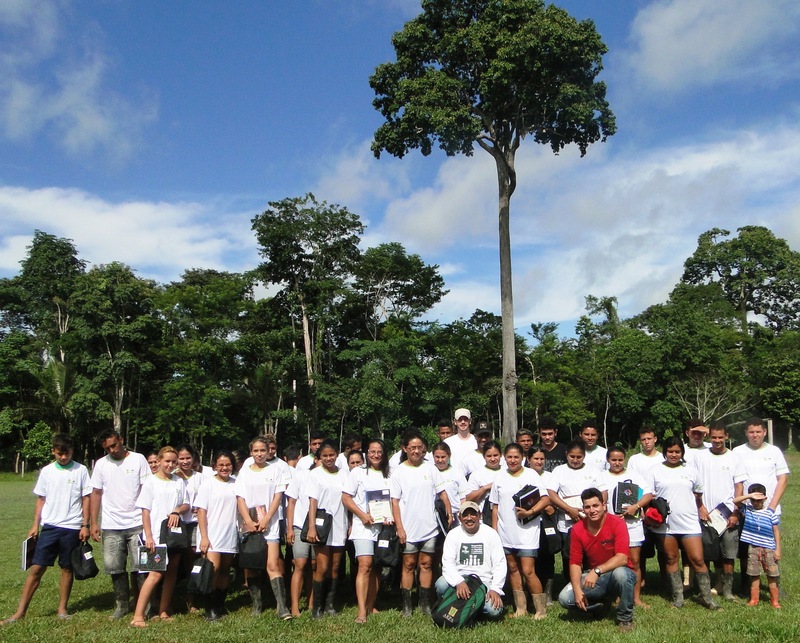 "For ARPA it is a victory to be able to disseminate results like these and to realize the importance of the Program to the conservation of biodiversity through participatory management. 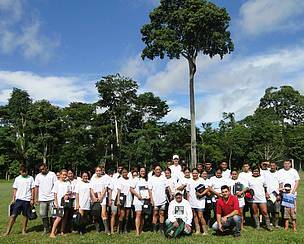 In addition, it reinforces our discourse that conservation is done with people," he says. For Marco Lentini, leader of the WWF-Brazil Forest Initiative, the ARPA Program has helped communities in their occupations and desires by allowing protected áreas to implement their management tools and participation and decision-making bodies properly. "By recognizing these rights and contributing to the implementation of the Protected Area, ARPA also stands out for its support for the direct social and economic development of communities, which is crucial to the Amazon's long-term conservation strategy," he says. 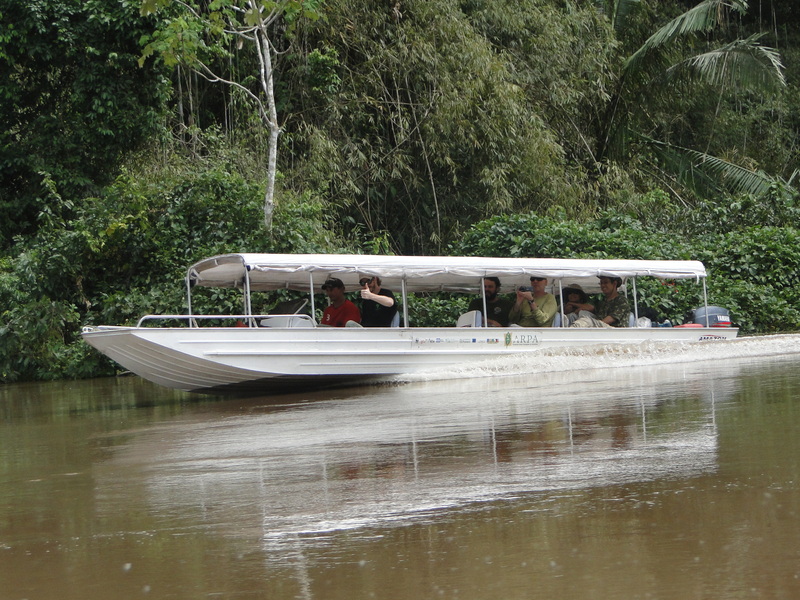 In addition to being one of ARPA's partners, WWF-Brasil has a broad presence in Resex Cazumbá-Iracema. WWF-Brasil is a member of its Management Board and has provided technical support for its creation process in 2006 and financial support for its operation between 2006 and 2014. 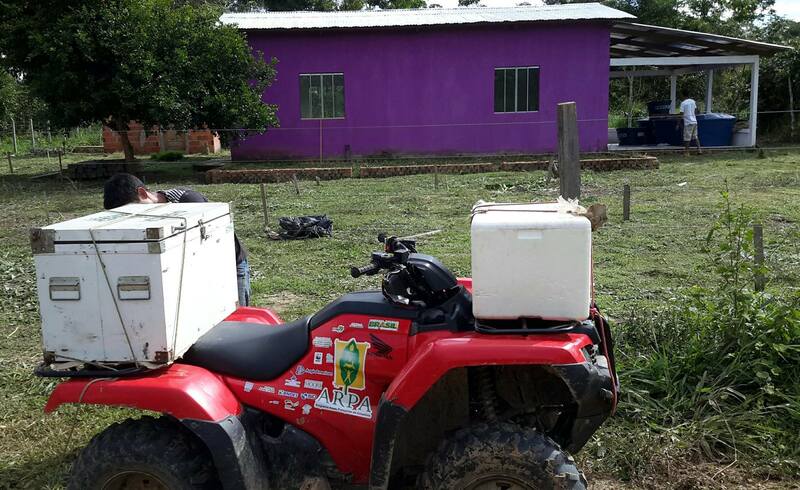 The organization also supported the completion of the management plan of the Resex; the preparation of the Copaiba Management Plan; and the implementation of this productive chain in the region, which generated on average an additional income of 900.00 BRL per family in five months of work. 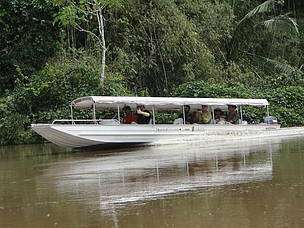 The Amazon Protected Areas Program (ARPA) is a long-term initiative of the Brazilian government (2002-2039) coordinated by the Ministry of the Environment for the conservation of 117 conservation units or 60 million hectares in the Amazon biome through creating, consolidating, and supporting the permanent financial sustainability of these PAs. ARPA receives funding from international and national donors (GEF/World Bank, Government of Germany/KfW, Amazon Fund/BNDES, WWF Network/WWF Brasil, IDB/Inter-American Development Bank, Margaret A. Cargill Foundation, Gordon and Betty Foundation Moore and Anglo American), as well as counterparts from the federal government and state governments. Trainning in crafts and sewing with Resex´s women.